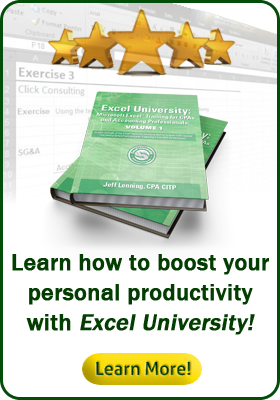 The Lite course includes the same topics, videos, and files as a given Excel University course, but excludes the ability to earn CPE credit or the Excel University Certifications. The lite courses do not qualify under NASBA standards for continuing education (CPE) credit and should not be claimed as such. Here is a comparison chart that explains the differences between the Lite and Full courses.